Adelaide United’s first W-League home game for the year will likely be played at a near-empty Hindmarsh Stadium. But, writes Paul Marcuccitti, it’s probably the best value sporting night out you’ll get this week. Supporters of all football codes in Australia have been slow to embrace Thursday nights. There are two types of people who tell you they’ve never gone to work on a Friday having forgotten to enter a tip, or adjust a fantasy team, for a game played on the previous evening: super fans who go as far as setting reminders for all such occasions at the beginning of the season; and liars. 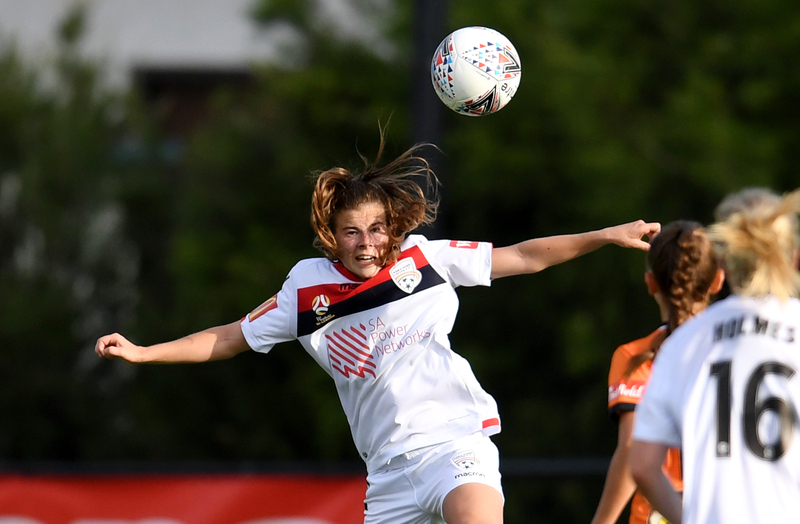 For the 2018/19 season, however, the W-League has decided to own Thursdays. All but one of the 14 rounds include a game on that evening. Adelaide United has scored three matches in the new timeslot and two of them are home games. On December 6, the Reds will face Sam Kerr’s Perth Glory at Marden Sports Complex. Mark that in your diary because it might be a while before she plays a domestic match in Adelaide again. 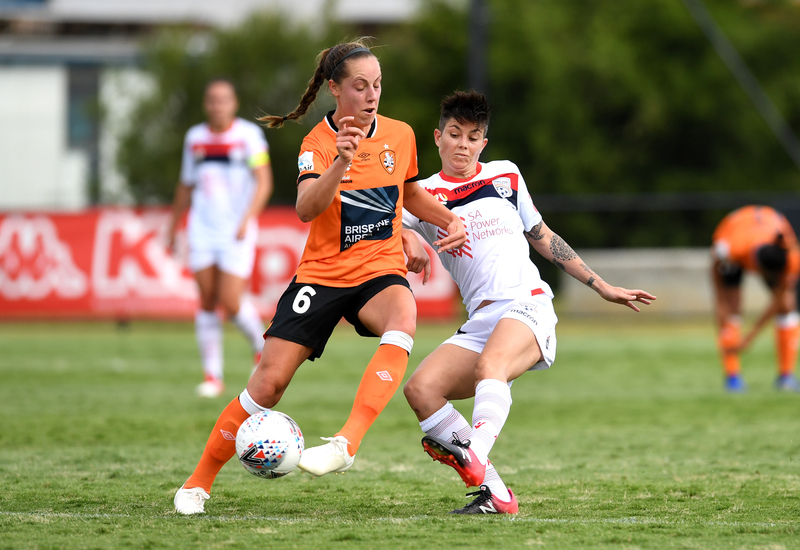 Football Federation Australia dipped in to its marquee fund to keep Kerr in the W-League for another season – the first time it has been used for a female player – but increasing offers from European clubs might become too high to match. This Thursday, Adelaide United will play its first home game of the season against Canberra at Hindmarsh. It’s a mixed blessing. Hindmarsh is the home of soccer in South Australia. But it will be mostly empty if the crowd figure is similar to what you’d normally get at a W-League game. Yet thousands of fans can attend at no cost. Adelaide United has more than 7000 members. Those that have bought tickets that entitle them to admission to all A-League games at Hindmarsh can also attend home W-League matches free. For everyone else, tickets range from $5 for kids to $12 for adults. That shouldn’t break too many banks. You’d expect me to encourage people to go given that I’m a fan of the sport, the club and trips to Manton Street. But I wouldn’t do it if there wasn’t a decent match to watch. And there is; women’s soccer in Australia has never been better. In early 2016, our national women’s team, the Matildas, jumped to fifth in the FIFA rankings (having never been higher than eighth). They’ve been somewhere between fourth and eighth ever since. Every player in the most recent Matildas squad – except for Alex Chidiac who’s based in Spain – is playing in the W-League. Two will take the pitch on Thursday night: Canberra United young gun Ellie Carpenter, and the Reds’ star recruit for 2018/19, Michelle Heyman (who’ll be facing her most recent former club). With increasingly good overseas players joining the already impressive mix of Australians, the competition seems to get better every year. And Adelaide United might be on the rise too. The Reds’ first two matches this season have been away from home but they return with a draw against table-topping Melbourne Victory and yesterday’s win over last season’s premiers, Brisbane Roar. Adelaide United has usually been one of the W-League’s strugglers. Its best finish was fifth (one place outside the finals) in 2015/16. But the club’s preparation for this campaign has been the most thorough since that season. The four visa players – American pair Veronica Latsko and Amber Brooks, and Icelandic duo Gunnhildur Jónsdóttir and Fanndís Friðriksdóttir – were identified several months ago. In contrast to previous years, in which the overseas players were mostly young up-and-comers, this group is experienced. As are the two interstate recruits, midfielder Kahlia Hogg and Heyman, whose signing was a real coup for the club. Ivan Karlović is the first Adelaide United W-League coach to guide the team in consecutive seasons since 2014. The continuity is valuable – he spent many winter nights out watching local matches to help him decide which South Australian players would be selected in the 2018/19 squad. Similarly, Emma Checker continues as the team’s captain and her leadership qualities are highly regarded by the club’s hierarchy. Thursday night will be first chance for local fans to see it all come together. The A-League team will be playing in Wellington on the weekend and, as you can probably guess, few supporters make that trip. So the match against Canberra is a showpiece that Reds fans can embrace. While most, I’m sure, keep an eye on what Adelaide United’s W-League team is doing, only a small percentage click the turnstiles for it. There’s no better time for that to change.